As previously discussed, the fitness industry is changing and evolving. Today, individuals are in pursuit of a more holistic approach to training and lifestyle in general. The pursuit of physical improvement is now matched by the pursuit of improvements in mental wellbeing. Individuals are looking to improve all aspects of life from nutrition to sleep, to relationships and work/life balance. As a Wellness Coach, your job is to help clients identify the obstacles to targets and help guide them to their desired goal. You won’t be prescribing plans, you will be offering guidance, clarity and support over the long-term. Here’s why you should consider a course in wellness coaching and what a wellness coach does. 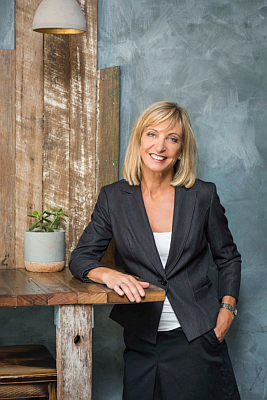 We asked Fiona Cosgrove, founder and principal of Wellness Coaching Australia to identify some of the key points of Wellness coaching. Why the Move to Coaching? A move to wellness coaching supports and compliments other aspects of a career. If you are a PT, Life Coach or Nutritionist you can benefit from a wellness coaching course. By adding this string to your bow, you strengthen your offering to clients and help them make even greater changes to their lives. Coaches ask Questions Instead of Providing the Answers. The client is encouraged to design a vision of where they would like to be and why. Finding out what their deepest motivators are is the only way to help the client really commit to a change program and can be used to continually renew that commitment. Coaches help identify barriers and plan for obstacles. Barriers fall into four categories – situational, behavioural, cognitive and emotional. Once there is an understanding of the barriers, a coach can empower a client to make changes by helping to create strategies to overcome said barriers. Half the battle is understanding the problem, the other is a willingness to overcome it. Strategies can be numerous and often the client is the only one who can come up with a way to overcome their specific barrier. Probing questions that open ideas can help, but never underestimate a client’s creativity. These are the cognitive and emotional barriers and should be addressed last and with permission and respect. A coach can help by gently challenging the usefulness and accuracy of certain beliefs. Drawing on positive psychology, coaches will help a client recognise their own strengths and draw on them. Thereby empowering them to make long lasting changes. An outcome is an end goal, a behavioural goal is a way of living. A Wellness Coaching Course will help you Unlock the Skills Required to Identify Obstacles that Clients are Facing when Making Lifestyle Change. You will have the knowledge, skills and the confidence to talk to clients, set SMART goals, monitor progress and develop strategies to make sure targets and goals are being met. Wellness coaching is not a quick fix. Instead, it is a long lasting programme of behavioural change that will have a huge impact on clients lives. Fiona Cosgrove holds Masters degrees in Exercise Science and in Counselling, and is a National Board Certified Health and Wellness Coach. She has established and run several highly successful health clubs in Asia and Australia. She has lectured at University level for 15 years, trained over 1000 fitness professionals in wellness coaching skills and regularly presents at national and international conferences. You are here: Home > Blog > Why Become a Wellness Coach and What’s it all About?